Professor Lucille Blumberg is a Deputy Director of the National Institute for Communicable Diseases, of the National Health Laboratory Service, and is currently head of the Public Health Surveillance and Response Division. She is also medical consultant to the Emerging Pathogens Centre on rabies and viral haemorrhagic fevers. She is a medical graduate of the University of the Witwatersrand and a member of the joint staff, and is an associate professor in the department of medical microbiology at the University of Stellenbosch, Western Cape. She has specialist qualifications in clinical microbiology, travel medicine, and infectious diseases. Her special interests are in tropical diseases, travel medicine, malaria, the viral haemorrhagic fevers, and rabies. 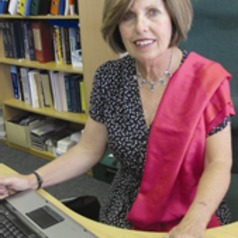 She is a member of a number of South African expert groups including the Rabies Advisory Group, Malaria Advisory Group and National Advisory Group on Immunization, as well as the advisory group to the WHO on Mass Gatherings.